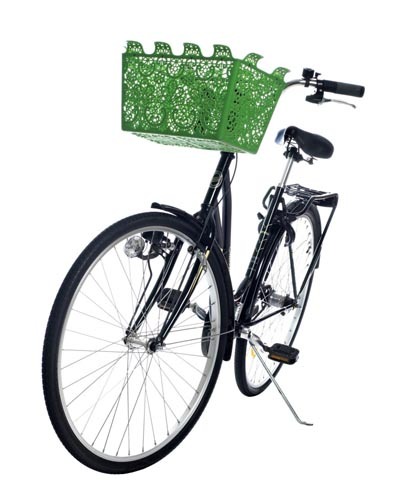 As you may have seen, I recently blogged about bicycles. I have not been riding lately, due to a bicycle mishap a couple of weeks ago. and I have been dreaming of the perfect bicycle still. Just came across this lovely basket- How beautiful! 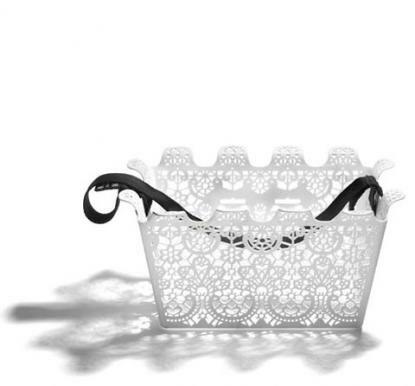 Called the Carrie basket, it is a Swedish design, and is available from Nordic Fusion in Australia. It is reminiscent of doilies crocheted by grandma, but interpreted in a totally modern way. It is a little pricey, but is able to be used as a shopping basket, too. That’s a good thing, too, as I think if you left it on the bike it might just disappear!